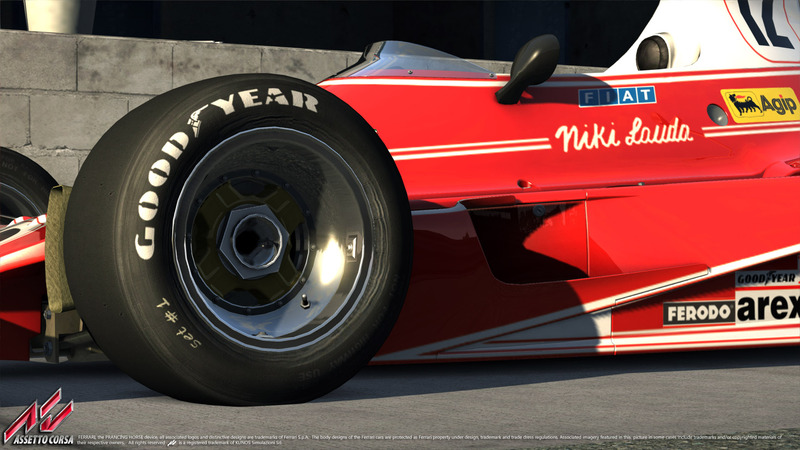 Its that much looked out for second Friday once more, meaning Kunos Simulazioni released Early Access Beta Update 0.8 for the Assetto Corsa Simulator. This time we get to enjoy some new cars. Both are very interesting, but lets face it, the Iconic 1975 Ferrari 312T Formula one car is the main attraction. In this release, a second car makes its appearance in the simulator. 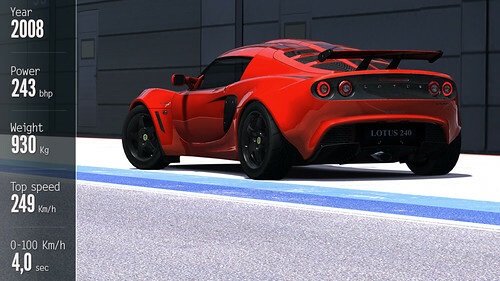 The Lotus Exige 240R will please a lot of Lotus fans, as it’s a very exclusive version of the Exige. Only 50 cars have been built. Another feature that might catch your eye is the newly implemented Skybox with clouds. As usual a selection of fixes and improvements are distributed with this update including some more CPU occupancy, AI & collision tweaks. The Ferarri 312T competed in the 1975 Formula 1 season driven by two legends of the sport. Niki Lauda and Clay Regazzoni. 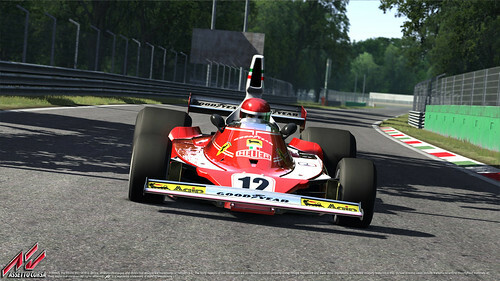 The 1975 Formula One season was the 26th season of FIA Formula One Championship. The cars got the model name 312 T. This T was short for “transversale”, pointing out that the Ferrari used a transverse gearbox, that was mounted in front of the rear axle. A very innovative feature at the time giving the car a near perfect weight distribution. , resulting in superior handling. In the 1975 Formula 1 season the Ferrari’s ended up in 1st and 5th with Niki Lauda as world Champion granting Ferrari the Constructors title. The Lotus Exige 240R is a rather exlusive version of its standard base model. Only 50 of these exclusive sports car have been built. 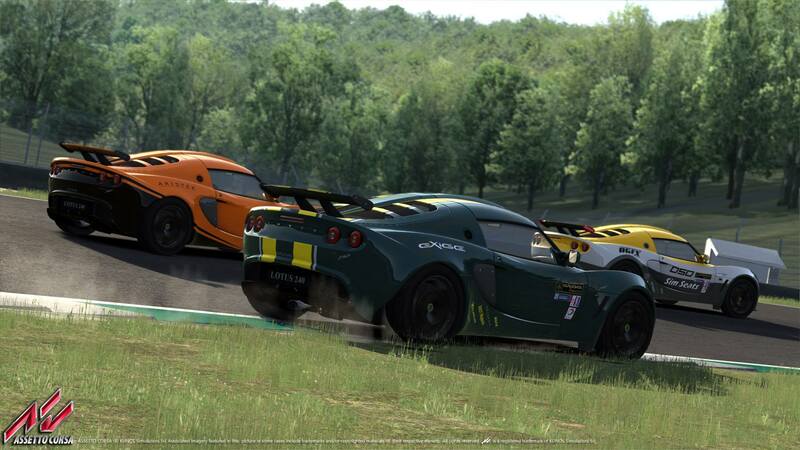 The Lotus Exige 240R is a basically a supercharged version of the standard Exige. The Rootes-type Eaton M62 supercharger gives it both mid and top end, making the 240R very suitable as a track day car. The 240R was tuned up to deliver 243bhp, making it accelerate from 0-100 km/h in 4 seconds and giving it a top speed of 250km/h.